BAKU, April 8. /TASS/. Russia will continue delivering weapons to Azerbaijan and Armenia as its strategic partners under existing contracts, Russian Deputy Prime Minister Dmitry Rogozin said on Friday. The Russian vice-premier thus responded to a journalists’ request to comment on a statement by the Armenian president that Russia had supplied a large amount of weapons to Azerbaijan and specify if Russia planned to continue these deliveries. "Everything is done in compliance with the contracts. Both these countries are our strategic partners," Rogozin said. 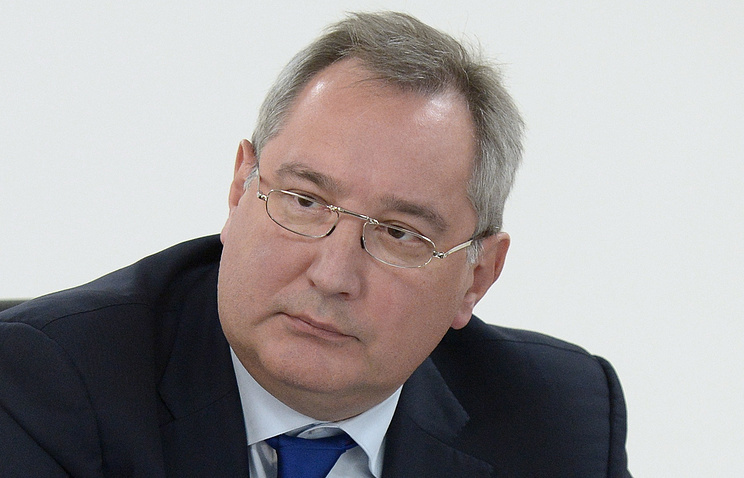 Rogozin co-chairs on Russia’s behalf the Russian-Azerbaijani bilateral inter-governmental commission. Last time, Rogozin met with the Azerbaijani leadership on March 3. At that time, the sides discussed expanding bilateral cooperation, including military and technical interaction. and participation in import substitution programs, in the first place, in the sphere of agricultural produce. Azerbaijan is a large partner of Russia on the weapons market. In 2010-2014, Moscow signed contracts with Baku on the delivery of helicopters, anti-aircraft missile systems, tanks and artillery systems. According to Russian media data, the package of contracts is estimated at $4 billion. Moscow also supplies armaments to Armenia, including armored vehicles, communications, and other military hardware.